The days where brands can simply put a product on the shelf and consumers will blindly buy are long gone. Today consumers and savvy and smarter, and in power especially with access to the Internet. NATIONAL Public Relations and with Sonic Boom combined forces to their first Bold Thinking Report. For the report the two companies collaborated with reddit to study the key themes and values driving online discussions and judgements. The results of this study will help organizations to better understand emerging beliefs that inform the decisions of Canadians on a daily basis. These decisions include which product to buy, issues to support (or oppose), or advocacy actions to take. Enabling an unprecedented level of exchange of information, ideas and points of view, the Internet plays a key role in defining trends and mobilizing public opinion. In this new reality, having a finger on the pulse of online conversation in any given context can become a competitive advantage for all organizations. Last year, reddit drew over 731 million visitors from across the globe, including more than 7.4 million Canadians each month with an average visit lasting more than 18 minutes. The numbers are staggering. To create the report, over 20,000 conversations amongst Canadian redditors around topics pertaining to government, business and society at large were searched and analyzed. With a focus on those three areas, they were able to identify emerging trends in consumer culture, as reddit members debated thousands of topics from CRTC rulings to the actions of companies, political leaders and individuals who have had an impact on redditors’ day-to-day lives. 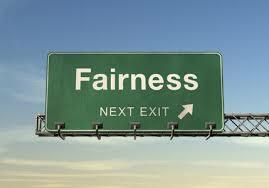 While topics they analyzed were diverse, a single unifying thread emerged: fairness. The report further conveys that fairness is also about a having moral code and a sense of personal and social responsibility. Those in positions of authority or power are held to a higher standard and their actions are judged accordingly. Consumers will be especially sensitive to perceptions of collusion between business and government. Collusion was identified as one of the biggest inhibitors of innovations, this is because in various sectors of Canadian business, redditors believe that laws and regulations are often put in place to protect the interests of established businesses, making it very difficult for smaller or newer companies to compete effectively within existing business models, products and services. To the community, this breeds an environment where innovation is stifled. Commonly cited sectors here include telecommunications, entertainment and banking/personal finance. One of the reasons why Canadian redditors feel so passionately about innovation is that they see it as a responsibility of the business community. When innovation is hindered (through restrictive public policy, for example), this becomes an issue of fairness, and the reputation of those involved is negatively impacted. For instance, the current debate over Uber’s disruptive technology and various governments’ responses will be closely watched by those on reddit. While Canadian redditors are upset about Verizon’s failed attempt at entering the Canadian marketplace, they are more upset about the lack of government intervention in creating competition in the telecommunications sector. Community members increasingly believe that most telcos in the country are happy maintaining their market position. It should come as no surprised that people do care about people, and specifically how organizations are treating their employees. Are companies being socially progressive, inclusive, and fair-minded? The issue of wage disparity is taking centre stage, with the retail sector being singled out for its “unfair” practices. Audiences believe that most large retailers “work around the system” by hiring part-time labour at the lowest costs and having them work full-time hours. This is resulting in negative perceptions towards certain retailers and is creating a culture of “guilty pleasure” – where shoppers will feel embarrassed to publicly talk about the fact that they purchased products at a given retailer. should provide free or low-cost access to drugs to those less privileged. ￼of which is to help educate Canadians about health and wellness. While the government’s efforts to develop renewable sources is commended, community members believe that there needs to be a better transition plan and greater attention paid to how the costs are distributed among energy producers, government bodies, taxpayers and consumers. This year, members of the reddit community will feel an even greater sense of personal responsibility to step in and contribute to issues affecting their country or community. Whether it’s to raise money for someone suffering from a disease, lobbying the government for net neutrality, or holding the world’s largest Secret Santa gift exchange, audiences will increasingly band together to drive positive change in society. This is primarily due to the emerging perception that governments and leaders cannot be relied upon to make decisions in the best interest of the nation and its people. Interestingly, the belief is that this trend will increase the social pressures Canadians feel in 2015 to get involved in an issue or cause; correspondingly, a lack of involvement will be taken as a sign of lacking personal responsibility. The influence of US laws on Canada is a big point of concern for community members, especially as it pertains to laws around Net Neutrality. Canadian redditors are worried about the increasing likelihood of Canadian ISPs following the American model of “throttling” whereby partners (such as Netflix, Google, Amazon) who pay more are given greater priority and bandwidth. In effect, this transforms the open Internet into a controlled system of content delivery. To support the issue, many redditors are rallying citizens in various cities and towns to raise their concerns with the CRTC, join forces and take action with other community members. This is a good example of Canadians taking collective action due to a diminished trust in government to act independently and in their interest. Corporations that promote and foster entrepreneurship will be celebrated. Just as innovation is seen by redditors as a responsibility of business and a critical success factor for Canadian prosperity, so too is entrepreneurship. With reduced trust in government to foster new enterprise, audiences will look towards corporations to create opportunities for small- and medium-sized business owners. Consequently, companies that do a great job at promoting entrepreneurs will be positively viewed by the community. Consumers express positive sentiment towards financial institutions in the country that help and promote entrepreneurs. For example, firsthand accounts of entrepreneurs working with select banks drive very positive discourse around their customer services, products, and even ethics. Grab a copy of the complete copy of the report now.